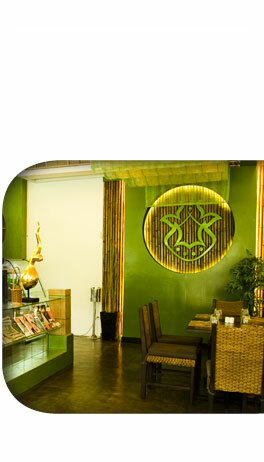 A few meters from the lobby is our international restaurant. Its clean and hygienic kitchen is supervised by an able Chef with many years' experience. The food, prepared with care and flare, is varied and includes Thai classics such as Pad Thai (northern-style fried noodles), Tom Yum Goonk (spicy seafood soup with lemon grass), and Kraprao Moo Sab (tasty minced pork with basil leaves). According to your taste, you can ask for hot or mild versions of the dishes offered on the menu. Western fares include steaks, pasta dishes, and sandwiches. Our Japanese guests will find a selection of fine Japanese dishes. In the morning, enjoy the Continental, American, or Asian breakfasts, or choose from the A-La-Carte menu. The ingredients are fresh and purchased from reliable suppliers. There is a variety of drinks, including imported beer and healthy juices. The friendly waiters and waitresses are thoroughly trained and service the patrons efficiently and with a smile. 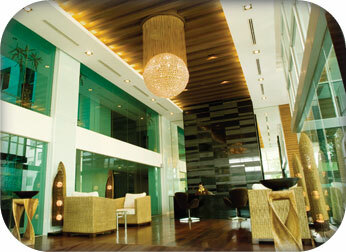 The roomy and cozy restaurant is decorated in a contemporary style and the atmosphere is relaxed and casual. With its nice food, impeccable service and reasonable prices, the restaurant is definitely the place where to enjoy a good lunch or a quiet dinner with friends or family.